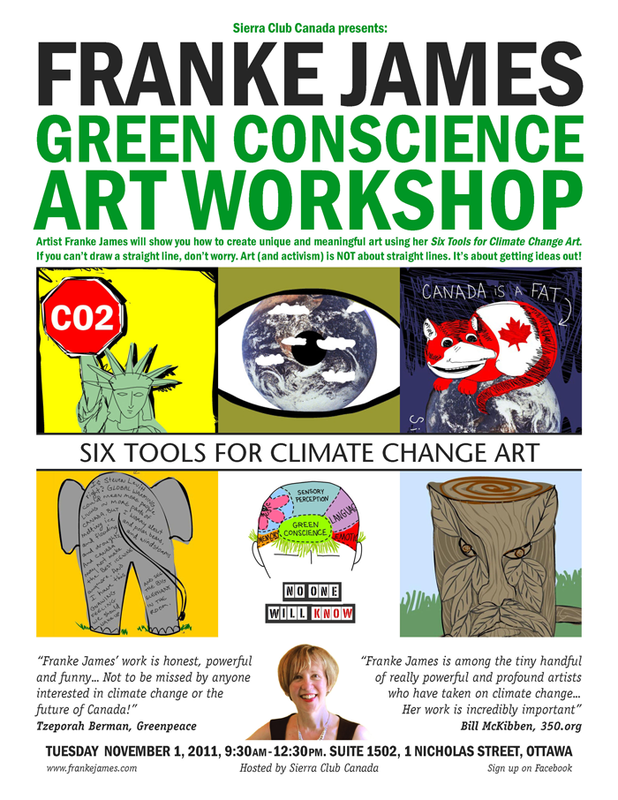 Sign up for my Green Conscience Art Workshop in Ottawa hosted by Sierra Club Canada. I’ll show you how to use my Six Tools to create Climate Change Art. Don’t worry if you can’t draw a straight line. Art (and activism) is NOT about straight lines. It’s about getting ideas out of your brain and into the world so everyone can see what you’re thinking!